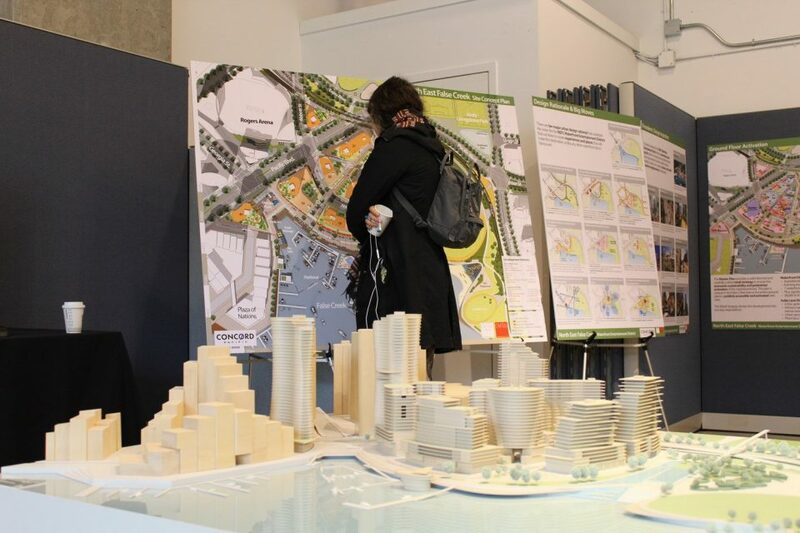 The City of Vancouver held an open house for the Northeast False Creek area plan today, showing off building models and future road networks to replace the viaducts. 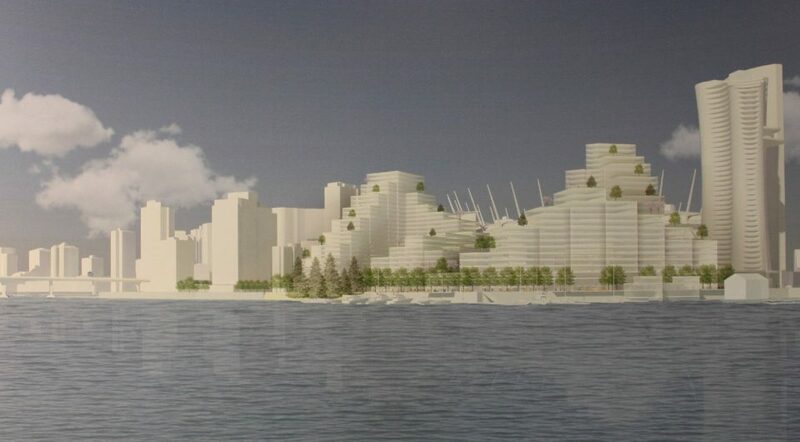 The area covered by the plan is massive, and runs along the waterfront from Smithe Street inland to Gore Avenue. 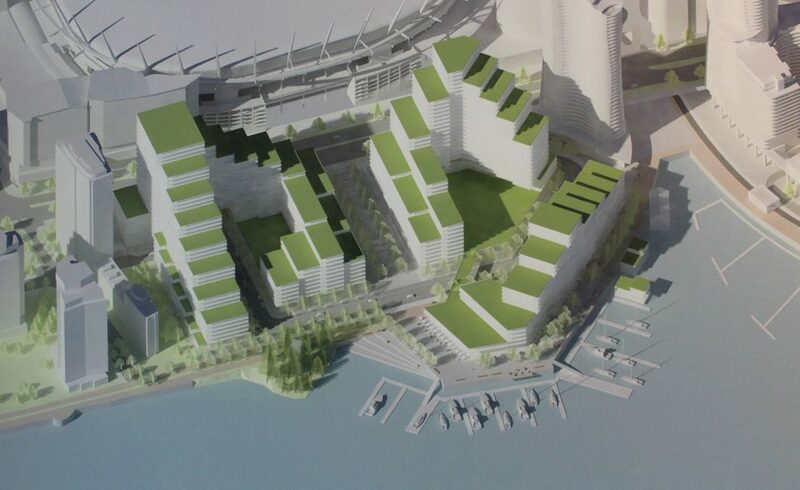 It’s also adjacent to the new St. Paul’s hospital proposed for the False Creek Flats, east of Station Street, and will include a new arterial route to take pressure off Prior Street. 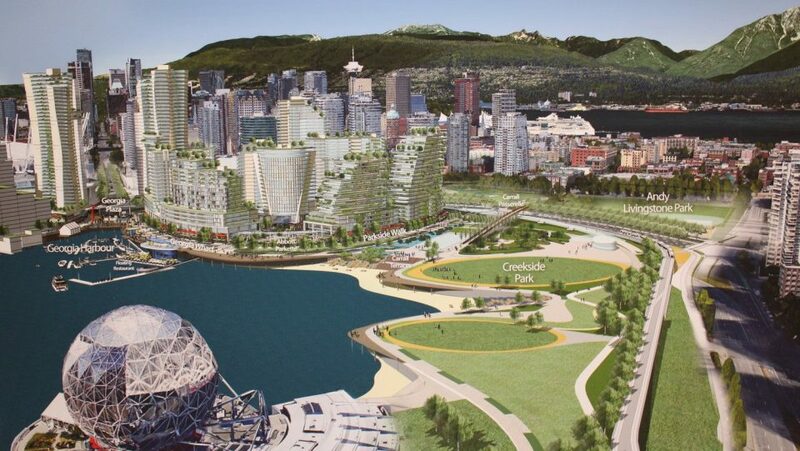 The land is the last, large piece of undeveloped waterfront property in downtown Vancouver, and is owned by several property developers, as well as the City of Vancouver, who owns the parcels of land east of Quebec Street where the viaducts currently are. 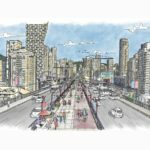 The city plans to sell off these parcels through a request for proposals (RFP) process, but first needs to construct a new street network to replace the viaducts, which soon will be demolished. The land was formerly Hogan’s Alley, the centre of Black culture in Vancouver, and was hastily demolished by the then-NPA government in the 1970s to make way for the viaducts. NEFC-Animation Openhouse Nov 2017 from Joseph Hruda on Vimeo. 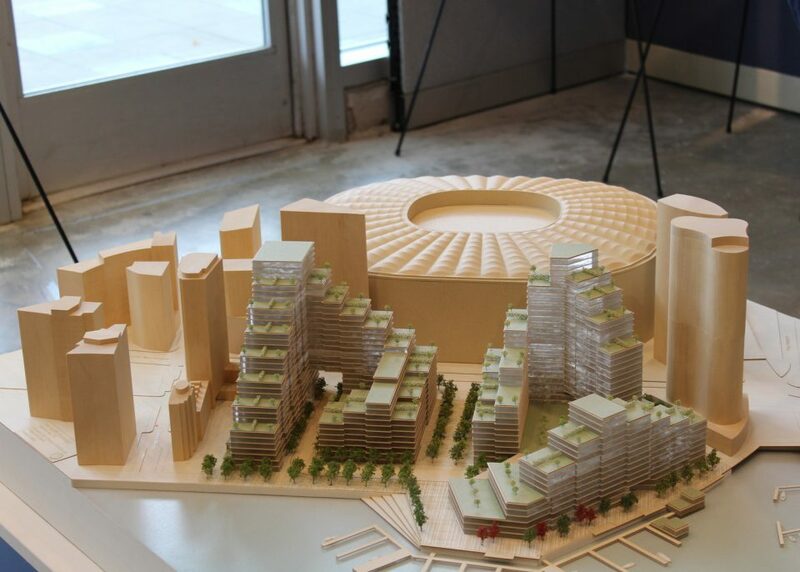 Model of the subarea 6B development by Canadian Metropolitan Properties Corp. on the site of the former Plaza of Nations. Model of the Plaza of Nations development by Canadian Metropolitan Properties Corp.
Aerial of Plaza of Nations redevelopment. View of the Plaza of Nations from Science World. Developer: Canadian Metropolitan Properties Corp.
new storefronts on Pacific Blvd. 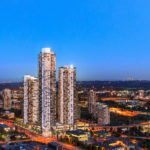 Concord Pacific proposal for subarea 6C. View towards north, showing Concord Pacific’s development in subarea 6C. 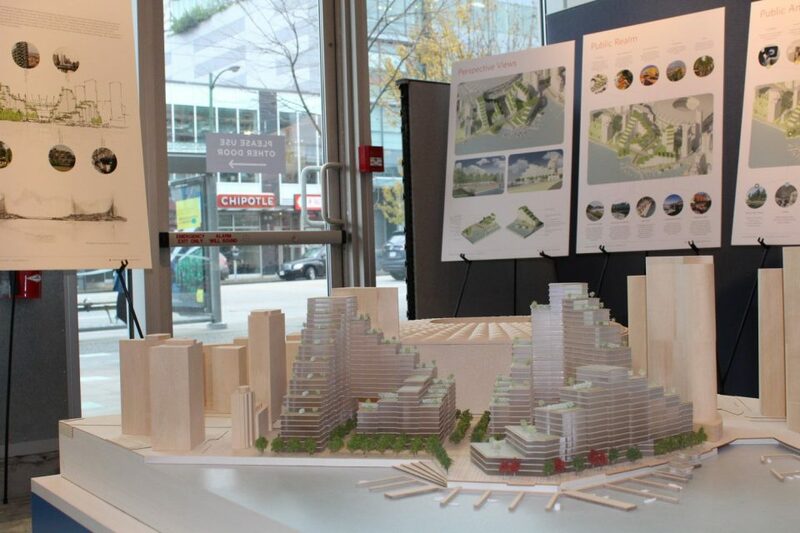 Model of the Concord Pacific development in subarea 6C. 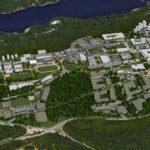 Aerial view of Concord Pacific subarea 6C. 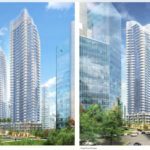 frame “Georgia Landing” with two tallest towers of NEFC plan, up to 425 ft.
View of Concord Pacific subarea 6C. The two tall towers at Georgia and Pacific are visible in the foreground. intersection of Georgia and Pacific will be marked with towers up to 400 ft.
Subarea 6D 800 Quebec and 801 Main Street, showing development proposed for Hogans Alley once the viaducts are removed. 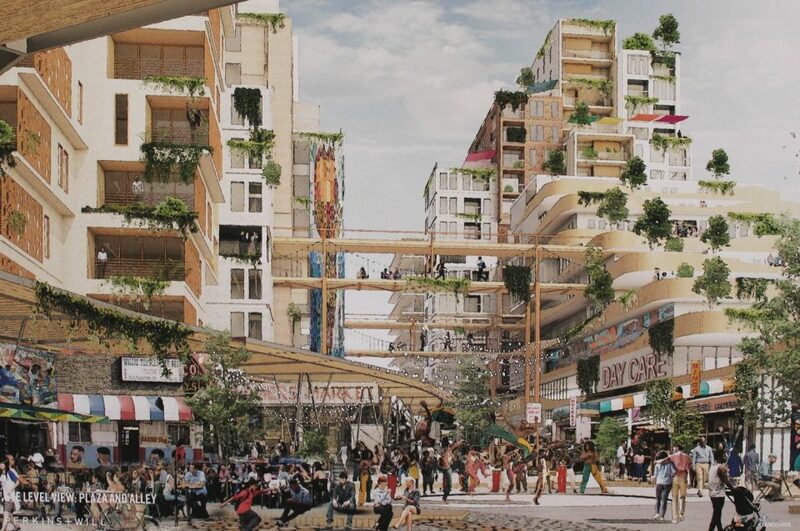 Rendering of Hogan’s Alley plaza by Perkins + Will. 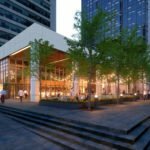 Rendering of the plaza at Hogan’s Alley. cultural centre for Black community at Main and Prior St. 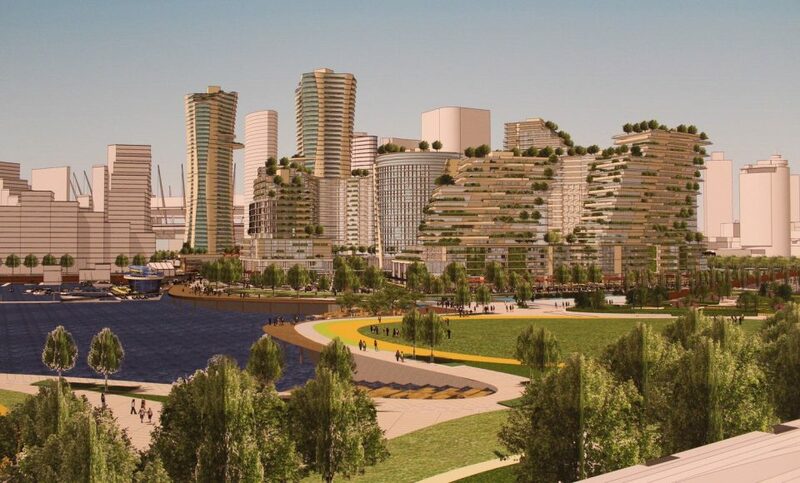 The city says the development of Northeast False Creek will bring public amenities valued at around $1.5 billion. 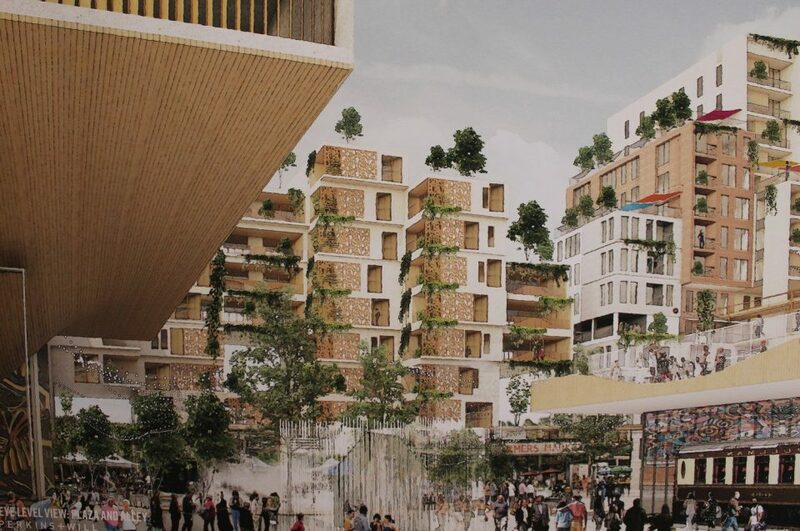 It will also deliver one of the largest social housing packages in the city’s history, with units for 3,250 people. 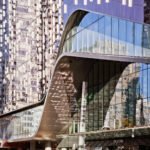 Build out of the plan is expected to take at least ten years. 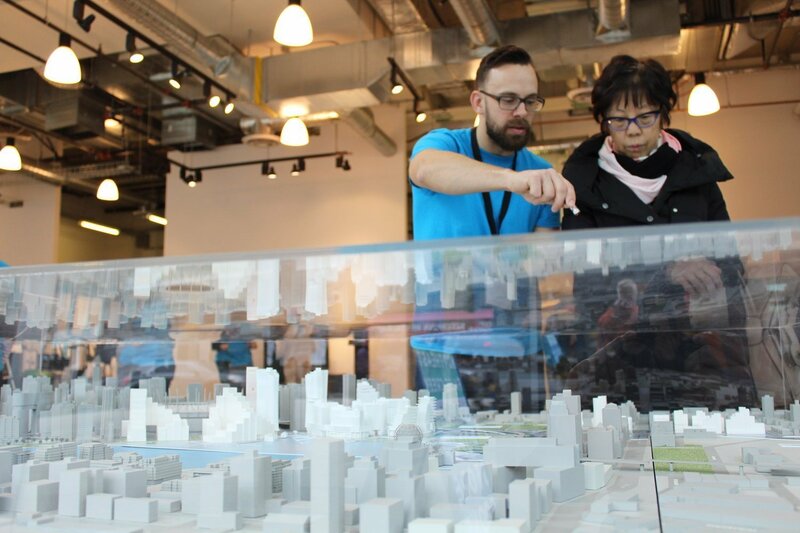 The NEFC area plan open house runs until November 23, 2017. Further details on times and locations of public open houses are available here.